compete with each other in 10 contests. 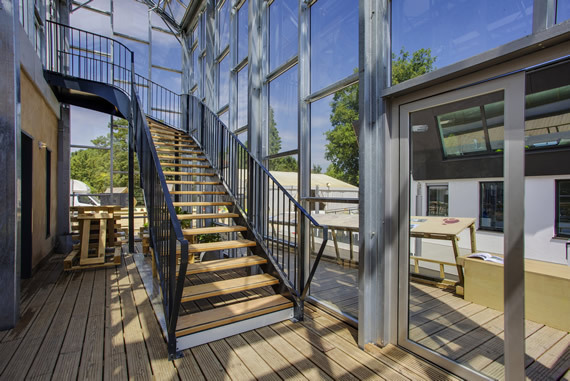 The teams have been testing their knowledge and the characteristics of their showcase houses in 10 contests at every Solar Decathlon competition since 2002. The individual contests may differ at the various competitions. The traditional contests are architecture, engineering, energy efficiency, energy balance, innovation and communication. The work performed by the participants of the competition is evaluated on the basis of a wide-ranging system of criteria, where aspects of architecture, sustainability, energy efficiency, construction, aesthetics, awareness raising and market potential are considered. Accordingly, Teams have to undergo the so-called decathlon, which covers all the important aspects of environment, architecture, society and market that a modern competition aiming to promote sustainable architecture needs to address these days. 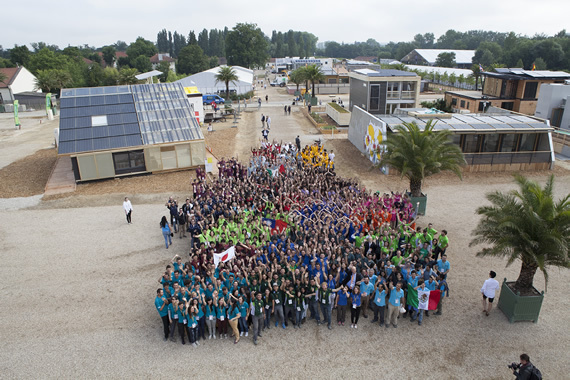 The competition organized in Hungary emphasizes the architectural solutions related to the renovation of the existing building stock as its primary professional subject and it will pose a number of scientific and innovative challenges to the competing university students: including among others the application of local recycled materials, high-level integration of solar photovoltaic and solar cell systems, the issue and solution of the summer overheating of buildings, bioclimatic planning and nature-based solutions, as well as the use of high performance composite materials. The competition in Szentendre also bases the creation of a long term sustainable park of showcase houses: as a result of the competition, a publicly accessible exhibition area and a “Showcase House Park” will be created, which will be open to not only professionals but also the general public. The houses may compete with one another in ten contests. In January 2018, the selected Teams started their preparations for the house-building competition in 2019. During the preparation period they design, model and build their showcase houses at their own campuses (or at the jointly determined venue in case of partnerships), perform preliminary measurements and conduct intensive communication campaigns among other things. In addition, the Teams also submit a detailed professional documentation (called Deliverables) to the organizers in 7 phases according to the previously set schedule: starting with the documentation containing the outline plans, the project manual and the first report on the communication activities until 30th March this year.